Green leaves emerging in spring signals that Alaska’s state fish, the king (Chinook) salmon will soon be pushing into Mat-Su Valley rivers and streams. The first few king salmon will likely be taken from valley locations during the week of May 8-14. 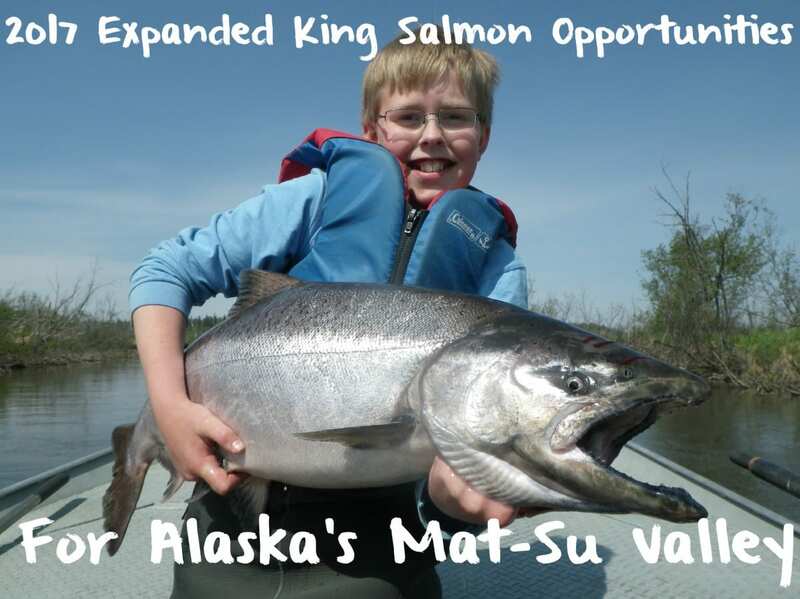 Kings are the largest and first salmon to show up in the Mat-Su’s freshwater fisheries, but they are also the least abundant and therefore king salmon harvest and bait fishing opportunities are limited. The Alaska Department of Fish and Game (ADF&G)) acknowledges three Mat-Su Valley freshwaters where sport fishing king salmon harvest opportunities will be expanded during the 2017 season. The slightly warmer waters drawn from Eklutna Lake and diverted through the Eklutna Hydroelectric Plant (located along the Old Glenn Highway) provide an open-water opportunity for anglers to fish year-round. With warmer springtime temperatures a number of eager local anglers have been spending time casting at the tailrace for the past couple weeks. The low-lying snow and ice near the tailrace is nearly melted and leaves are emerging in sunnier valley locations. The gate to the tailrace parking lot has been opened for the season and the riverside fish cleaning table has been installed. The only question remaining to be answered is, ‘When will a season-pushing angler land the first Eklutna Tailrace king salmon in 2017’? With regulations that allow year-round king salmon harvest, the use of bait and treble hooks and 24 hour per day fishing all year, expanded harvest opportunity should come at the tailrace fishery primarily as a result of increased stockings of hatchery raised smolts for the past three-to-four years. During the 2017 season a larger percentage of the returning kings should be the older and larger fish. The tailrace yields king salmon in a wide range of sizes with strong numbers of fish in the 10-15 pound range, decent numbers of fish in the 15-25 pound class and lower numbers of 25-40 pound lunkers. While only one king salmon 20 inches or larger may be kept per day (5 fish seasonal limit), jack king salmon (those less than 20 inches in length) provide a bonus harvest opportunity with a 10 fish per day and no seasonal limit. On June 17, 2017 that portion of the tailrace fishery from the footbridge downstream to the tailrace confluence with the Knik River is designated as a youth only zone, providing youth an enhanced opportunity to fish for and catch a king salmon. Anglers over 15 years of age may still fish on June 17 – in waters upstream or downstream from the youth only zone. ADF&G may provide loaner fishing rod and reel combinations for those who don’t have one. Contact ADF&G’s Samantha Oslund at (907) 746-6332 for more information. For the first time in five years ADF&G is expecting to allow king salmon fishing, harvest and bait fishing in the Deshka as listed in the Southcentral Alaska fisheries regulation booklet. With boat launch repair and gate replacement currently ongoing at Deshka Landing and with ice flows still coming down the Susitna River, Deshka Landing is scheduled to open at 8 am on Friday May 12. For the past several years the Deshka River has provided the largest harvest of wild king salmon in the Mat-Su Valley. This year bait fishing will start on June 1. Fishing hours are from 6 am to 11 pm. The daily limit is one king salmon 20 inches or larger. Anglers will be allowed to harvest their full five fish seasonal limit of king salmon. Jack king salmon limits are 10 daily/no seasonal. While the Deshka River frequently produces the first king salmon harvested in the Mat-Su Valley this fishery is incredibly more productive when the bait fishery opens on June 1. Drifting Fire Cured salmon roe under bobbers, still fishing roe near the Deshka River/ Susitna River confluence or bouncing roe or spawn sacks in the areas with faster currents all produce good numbers of king salmon during a normal season. While the Deshka River has large numbers of king salmon, 15-20 pound kings are usually considered good-sized “keepers” on this river. Last year’s return past the Deshka River salmon counting weir was 22,774 king salmon. Earlier this spring ADF&G announced Little Susitna River king salmon harvest and the use of multiple hooks will be allowed seven days per week in 2017 (compared to four days per week and single hooks only at the start of the season in 2016). This will provide additional harvest opportunity for Little Susitna River king salmon during May and the earlier part of June. For the past two years after adequate numbers of king salmon had swam past the Little Susitna River salmon counting weir the department provided a brief bait opening targeting surplus Little Susitna River king salmon. If bait opens in 2017 expect it to occur sometime later in the season after sufficient king salmon have migrated past the salmon counting weir. 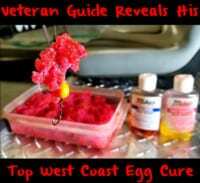 If the bait fishery opens: Fire Cure salmon roe drifted under bobbers, bounced along the bottom, or back trolled behind a diver can produce quick king salmon catches. In early July bonus numbers of chum salmon and/or early arriving silver salmon may also be caught when/if bait use is allowed. The 2016 king salmon migration past Little Susitna River salmon counting weir was 4,964 fish. The road and boat launch at the Little Susitna River Public Use Facility are already open. A few king salmon may already be nosing into the tidal stretches. Although fewer in number Little Susitna River king salmon can average 25-30 pounds. Salmon roe cured in Fire Brine, Fire Cure or BorX O Fire all has krill it which can help turn reluctant or pressured salmon into roe chomping machines. I also add Fire Power (krill powder) and Pautzke’s Red Nectar to rejuvenate unintentionally freeze-dried baits back to life. Look for these at Sportsman’s Warehouse, Walmart, Fred Meyer, Cabelas, Bass Pro and 3 Rivers Fly and Tackle. Editor’s Note: Andy Couch guides Alaska salmon fishing trips on the Deshka and Little Susitna Rivers. 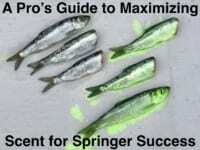 Visit his website where you’ll find free daily fishing reports at http://www.fish4salmon.com.